Twitter Party Alert! 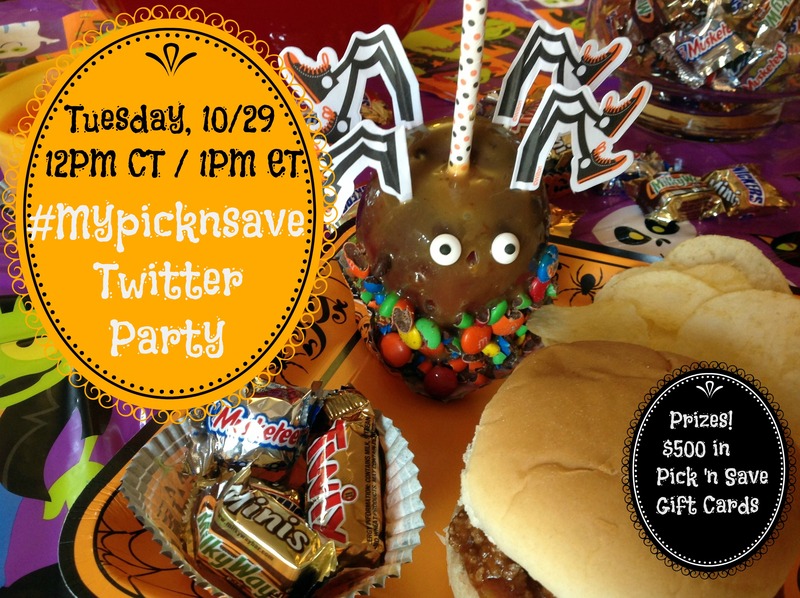 #MyPicknSave 10/29 12pm CT/1pm ET – Prizes $500! RSVP Here! Join me at the #MyPicknSave Twitter Party! Are you ready for Halloween? It’s right around the corner and it’s time to shop. There’s nothing scarier than hungry kids and nothing for them to eat! You can check the recipes on the Pick ‘n Save website and shop for ingredients to create Halloween-inspired dishes of your own. Or go to your nearest Pick ‘n Save store for convenient, ready-to-serve party food that will make your preparation quick and easy. Pick ‘n Save Stores have everything you need to supply your home for the arrival of little ghosts and goblins! Whether you are having a party for the entire neighborhood or just your own family, Pick ‘n Save stores have the food, tableware, decorations, candy, and anything else you can think of for the best party of the year. 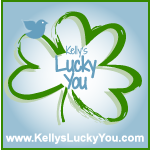 RSVP in the Linky below to be eligible for prizes! 1. Eligibility. The #MyPicknSave Twitter Party Sweepstakes (the “Sweepstakes”) is open only to legal residents of the United States, who have a Twitter account, and are eighteen (18) years of age or older at the time of entry. Employees of Collective Bias, Inc. (“Sponsor” and “Administrator”), Roundy’s Supermarkets Inc.|, and their affiliates, as well as the immediate family (spouse, parents, siblings and children) and household members of each such employee are not eligible. The Sweepstakes is subject to all applicable federal, state, and local laws and regulations. Void in Puerto Rico and where prohibited. If you do not have a Twitter account, it is free to create one at www.Twitter.com. 3. Submission Entry Period. Entrants may make submissions via Twitter following guidelines outlined in How to Enter (“Entry”) between the hours of 1:00 pm – 1:55 pm ET on Tuesday, October 29, 2013 (“Entry Period”). Date and time can change based on Twitter’s status. If date and time are changed entrants will be notified via Twitter using appropriate hashtag (#MyPicknSave). Sponsor’s clock is the Sweepstakes’ official clock. 4. How to Enter. Enter by RSVPing for the Twitter party at #MyPicknSave party via this link:http://cbi.as/hmsw8, be actively participating in the party by tweeting during the party; following @PicknSaveStores, @KellysLuckyYou and @DawnChats; and by using the hashtag #MyPicknSave. To be eligible to win prize(s), Sweepstakes entrants must submit a tweet during the Entry Periodusing #MyPicknSave hashtag. Sponsor, may disqualify you from the Sweepstakes if it believes, in its sole and absolute discretion that your Submission fails to conform to these Official Rules. 5. Prizes, Approximate Retail Value and Odds of Winning. Prizes will be limited to five (5) $100 Pick ‘n Save Gift Cards to be given away during the 1 hour duration of the party on October 29, 2013. Total value of all prizes awarded in this Sweepstakes is $500. All winners will be chosen using random.org from the RSVP link and the active tweets during the party. Winners must be present and participating in the party using the hashtag #MyPicknSave at the time that they are drawn as a winner. Odds of winning depend on the number of eligible entries received and active tweets during the party. Winner will be notified via Twitter @ message by @DawnChats during the party on October 29, 2013 and must respond to @DawnChats within 5 minutes of being selected to claim their prize. 6. Limitation of Liability: IN NO EVENT WILL THE RELEASEES (DEFINED BELOW), THEIR ADVERTISING OR SWEEPSTAKES AGENCIES OR THEIR RESPECTIVE OFFICERS, DIRECTORS, EMPLOYEES, REPRESENTATIVES AND AGENTS, BE RESPONSIBLE OR LIABLE FOR ANY DAMAGES OR LOSSES OF ANY KIND, INCLUDING DIRECT, INDIRECT, INCIDENTAL, CONSEQUENTIAL OR PUNITIVE DAMAGES. Sponsor and Administrator assume no responsibility for undeliverable e-mails resulting from any cause, including any form of active or passive e-mail filtering by a user’s Internet Service Provider and/or e-mail client or for insufficient space in user’s e-mail account to receive e-mails. 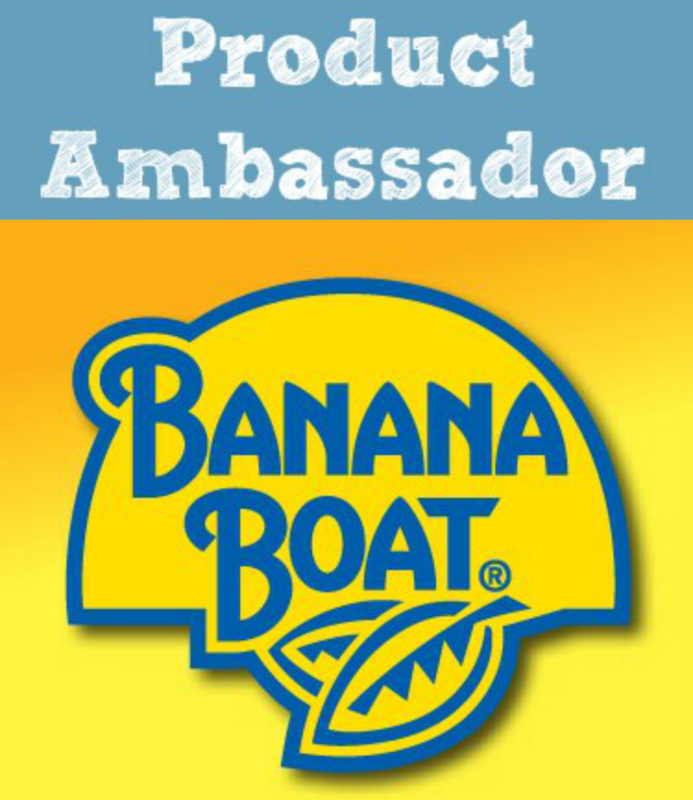 By participating in this Sweepstakes, each Entrant agrees to release and hold harmless Sponsor, Administrator, Roundy’s Supermarkets Inc.|, their respective affiliates and related companies and each of their respective officers, directors, employees, agents, and other representatives (collectively, the “Releasees”) from any and all liability for any injuries, losses or damages of any kind to persons, including death, or property arising in whole or in part, directly or indirectly, from acceptance, use or misuse of a prize, participation, or inability to participate in Sweepstakes, any Entries or any Sweepstakes-related activity. Releasees are not responsible for printing errors or for lost, late, unintelligible, misdirected, incomplete, damaged or garbled Entries or any other documents. Releasees are not responsible for any: (a) telephone, computer, hardware, software, programming or interrupted or unavailable network, server or other connections, network malfunction, or other technical failures or errors, or failure to properly process Entries; (b) communication disruption or other forces beyond the reasonable control of the Sponsor, make Entries or other disruption related to Internet traffic, virus, bug, or non-authorized intervention; or (c) damage caused by computer virus or otherwise resulting to any computer by entering this Sweepstakes, whether human, mechanical or electronic. Releasees shall not be liable to any Entrant or any other person for failure to supply a prize or any part thereof, by reason of any acts of God; any action(s), regulation(s), order(s) or request(s) by any governmental or quasi-governmental entities (whether or not they prove to be valid); equipment failure; terrorist acts; earthquake; fire; flood; war; explosion; unusually severe weather; hurricane; embargo; labor dispute or strike (whether legal or illegal); labor or material shortage; transportation interruption of any kind; work slow-down; civil disturbance; insurrection; riot; or any other cause beyond Sponsor’s sole control. 11. Winner’s List: For the name of the prize winners, those interested print their name and address on a 3″x 5″ card and mail it in an envelope to: #MyPicknSave Twitter Party Official Rules, c/o Collective Bias, 205 S. Main Street, Bentonville, AR 72712. Specify “Rules” or “Winner List” on the card. Winner List requests will only be accepted after the Sweepstakes end date (listed above) and requests must be received no later than November 30, 2013.